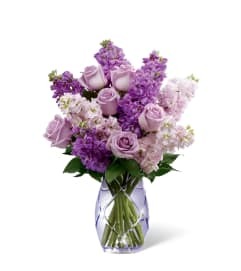 The FTD® Vibrant Views™ Bouquet is a cheerful display of autumn delight to bring warm cheer to your special recipient with each sunlit bloom. 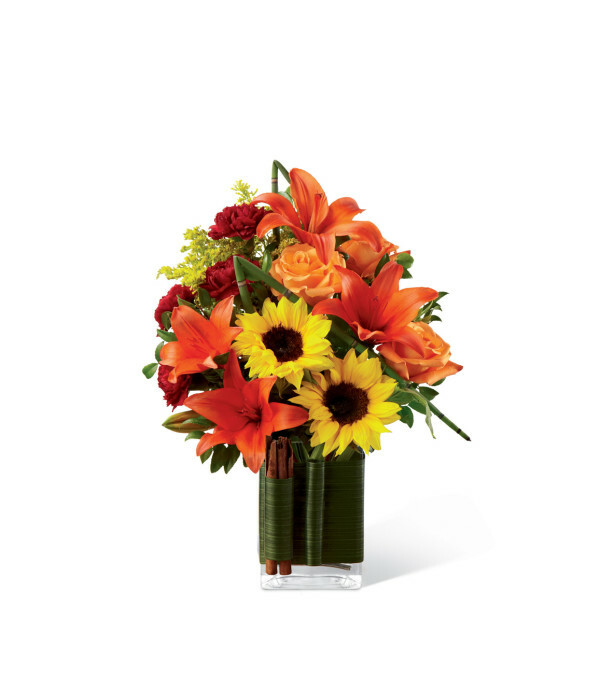 Gorgeous sunflowers bring their beauty to this arrangement along with orange roses, deep orange Asiatic lilies, burgundy carnations, yellow solidago, and a variety of lush greens. 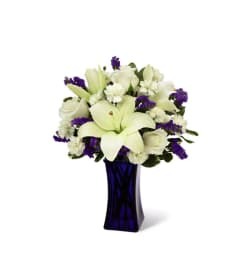 Arriving in a clear rectangular glass vase wrapped with a green leaf material secured with cinnamon sticks for a sophisticated and modern look, this bouquet is a rare fall treat.